Some people call it soccer, others call it football and many others know it as fútbol; the most popular team sport globally is known to fans as “the beautiful game” for many reasons and it is practiced by over 300 million people around the world. One of the most endearing aspects of soccer is that is has a very low barrier of entry, which means that just about anyone can enjoy playing this sport, but only a few hundred make it to the FIFA World Cup every four years. Miami’s close ties to Latin America, where fútbol is king, means that the city is a great U.S. hub to play against other good players. Although soccer in the United States is still gaining popularity, Major League Soccer now commands more attention than the National Hockey League and even NASCAR; at the high school level, girl’s soccer is one of the top athletic activities, and theWomen’s National Team is even more popular and successful than the Men’sNational Team. 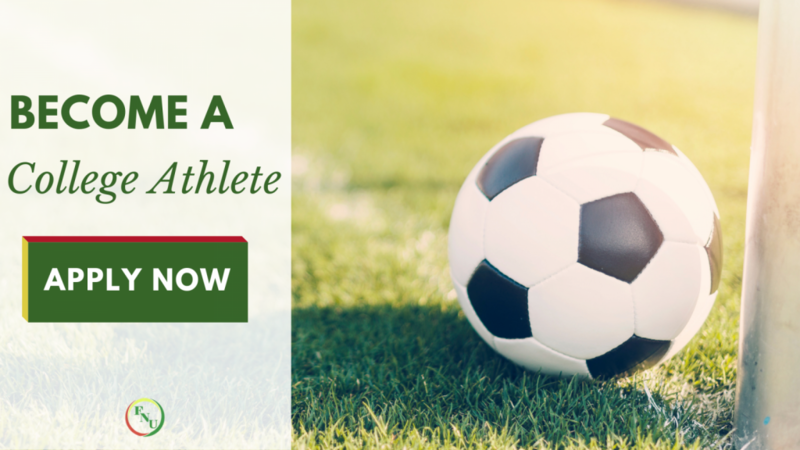 There are various paths to a professional soccer career in the U.S.and college athletics programs are considered by many analysts to be one of the most straightforward because of the support provided by the National Collegiate Athletic Association (NCAA). Similar to other professional sports leagues, the MLS is very reliant on the college draft program; furthermore, international scouts are getting comfortable with the idea of recruiting American college soccer players for overseas academies or even direct signings to clubs abroad. High school, academy and community league players should first communicate their desire to their coaches; the reason this is a first step is because members of the coaching staff often have connections to college programs. Coaches can also explain the process and level of play expected from players. As far as skills, letting your coach know that you are interested in college soccer may also provide you with a frank assessment about what you need to work for the purpose of being considered as a candidate. They need to know you will pass the test, whether it is as a reliable team member, on the field or in your university studies: a commitment to excelling. Start doing research about the schools you would like attend and play for; narrow your choices to about five and start completing their online application forms, keeping in mind that you are showing interest in becoming a prospective student-athlete, which means that you will more than likely have to complete an official admissions form later. 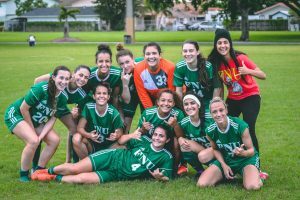 Florida National University offers an online form for prospective athletes interested in making the women’s or men’s Conquistadors college soccer team sponsored under the U.S. Collegiate Athletic Association. Athlete expectations are high at FNU, considering the winning streak with national titles and women’s volleyball, as well. 3. How Do Foreign Students Apply For an FNU Team? “First the Head or Assistant Coach needs to see him/her play in a game, preferably in person. If this is not possible, we need to watch a few videos of you in a match” Coach Valenzuela delineates. “Second, if the player is good enough and the coach wants him/her, they would have to go through the FNU application process,” Coach Valenzuela states simply. Check out our page on Scholarship Opportunities for International Students. This is another step of the process that will benefit from the assistance of your coach. College programs will ask how long you have been playing, what type of tournament schedule you are used to, your player profile and game stats such as goals, assists, minutes played, injuries, bench time, substitutions, etc. Presenting these records in an organized manner will make things easier for college recruiters. “…a student or sponsor has a prior problem or does not show enough funds in the bank and the U.S.embassy in that country does not provide the athlete with the F1 student visa, getting rejected,” reveals Coach Valenzuela. Click here for our page on Visa Info & Requirements. You will want to attend as many camps as possible; this is an excellent way to make connections, learn about the sport, meet new people, improve your skills and perhaps catch the attention of a scout who may be linked to a college program. Make sure to mention camp attendance in your athletics program application; you will also want to keep documents and certificates from these camps. At FNU we accept athletes from any camp, since reliability, a good attitude and performance is what we are seeking. Once again, your coach can help you in this regard, but you can also ask parents, relatives and friends to help you. Even though coaches can see through fancy video editing, it helps to put an effort in terms of production so that your clip stands out from the rest. Label the actions in the video accordingly; for example, a striker who is also skilled in defensive headers should include both actions, and the same goes for a midfielder who is a corner kick specialist. Show your discipline. As Coach Valenzuela mentioned, they are interested in disciplined players, so don’t be afraid to include throw-ins that fly above opponents and into the boots of your teammates. If you are a goal keeper, don’t make the video exclusively about spectacular saves; be sure to put in footwork and clearings. The “beautiful game” is one of deep passion. Turn that passion you have in you into a vision for your future. As a student-athlete take your studies towards a career seriously. As mentioned, millions of people around the world play soccer, but only a few make it to the highest levels. In the case of women’s soccer, only about 10 percent of high school players get recruited by college, and this percentage narrows on the men’s side. You can have it all. Choose the right academic path towards a fulfilling career while you fully enjoy playing soccer. 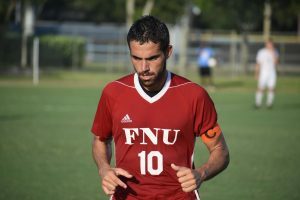 At FNU, members of the Conquistadors teams have the advantage of attending a fully-accredited university where their degrees are recognized nationally throughout the U.S.; moreover, they also have the flexibility of online education. Learn more about the athletic and academic programs at FNU by getting in touch with our counselors. Feel free to call and get your questions answered precisely and quickly at 305.821.3333.